15% of his salary is hardly a year’s rent for a handful of homeless people, and I would say to Andy Burnham, ‘Sack your Mayoral Fund because it isn’t going to make any difference at all. 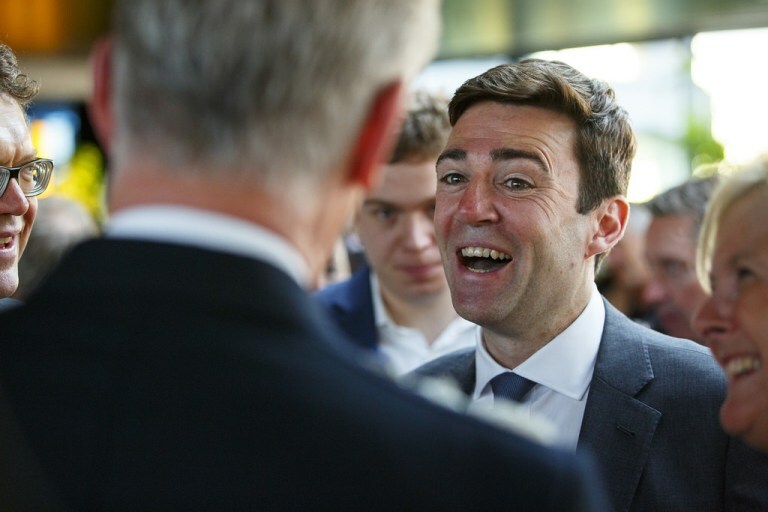 Burnham’s just rolled up with the old boys to carry on what the old boys were doing, and we’re going to see more towers, more homeless and more destitution all in the name of gentrification and profit. Leese and the Labour party bosses at Manchester Council are no friends of their own workers (whats left of their number) either. Don't expect Andy Burnham to make any big changes to benefit the homeless, the renters or workers generally in Greater Manchester. The ''squat everything'' slogan at the old 'Cornerhouse' venue got a few cheers during the passing May Day march recently but we are still a long way off the sort of working class resurgence of struggle that might start to move closer to the reality of that. Burnham's Salford Mayor to lead on his strategy for more 'affordable' housing and solving the homeless crisis. I'm afraid Labour politicians are slaves to 'the market' when as now they are telling us they can control it. And so it goes on as here again in Salford where some people know how to fix the odds in any bet to their advantage! In addition to organising attempts by such as ACORN, squatting mostly empty commercial property continues as one limited response by others across Greater Manchester to their unmet housing needs as reported here: www.salfordstar.com/article.asp?id=4276 plus other updates later. Thanks for the tip Spikymike. Just posted the link on the communist anarchists Twitter thing.